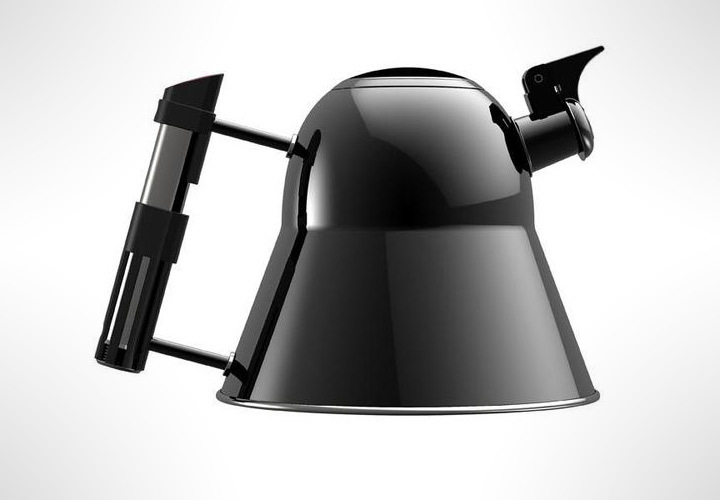 Adding another favorite to you star war's collectible, someone has a made a kettle that's shaped like Darth Vader's iconic helmet. 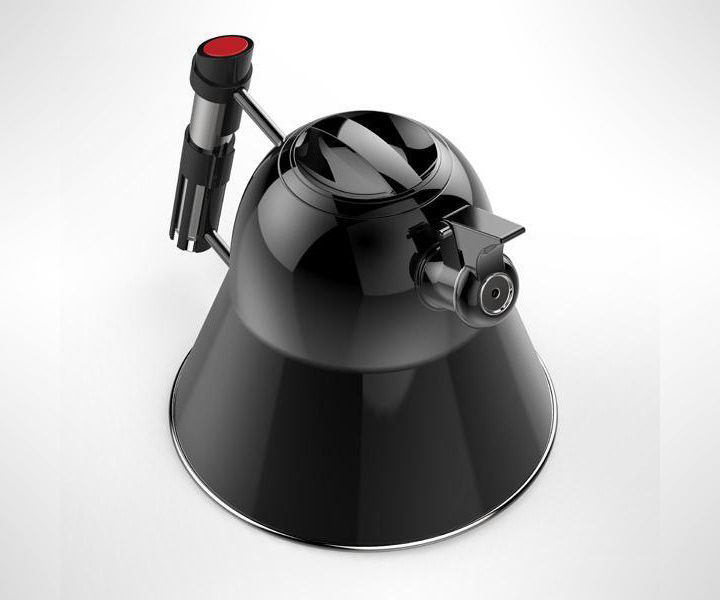 Although it doesnt boast any of the dark lords face details, It does feature his lightsaber disguised as a handle with a red button on top, in its side.It is made from stainless steel and claims to work on all hobs, from gas and electric to modern induction stoves. 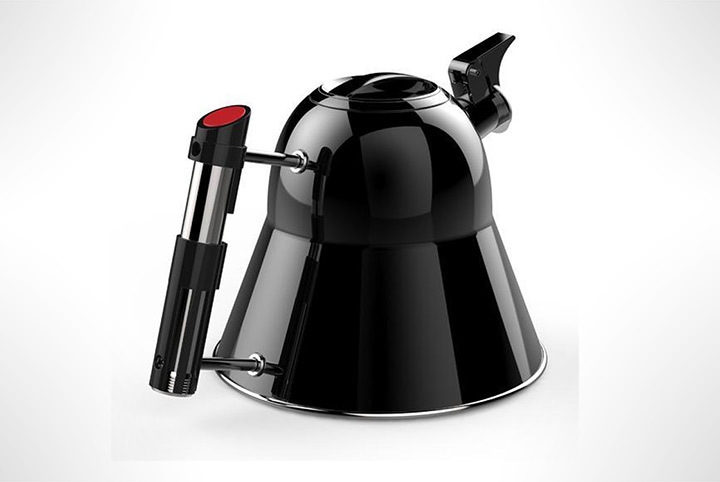 Unlike other kettles the Darth Vader kettle comes with a short spout. 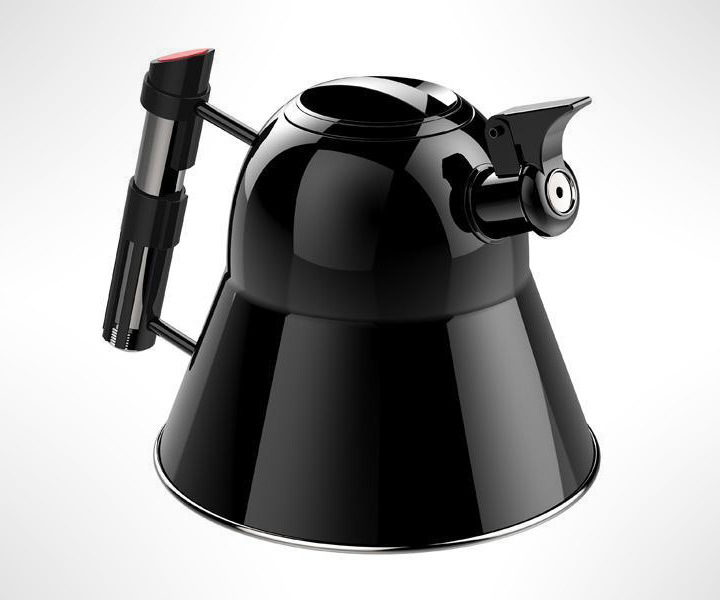 Measuring only 9 x 7 inches (height x diameter) and weighing 1.15 kg. 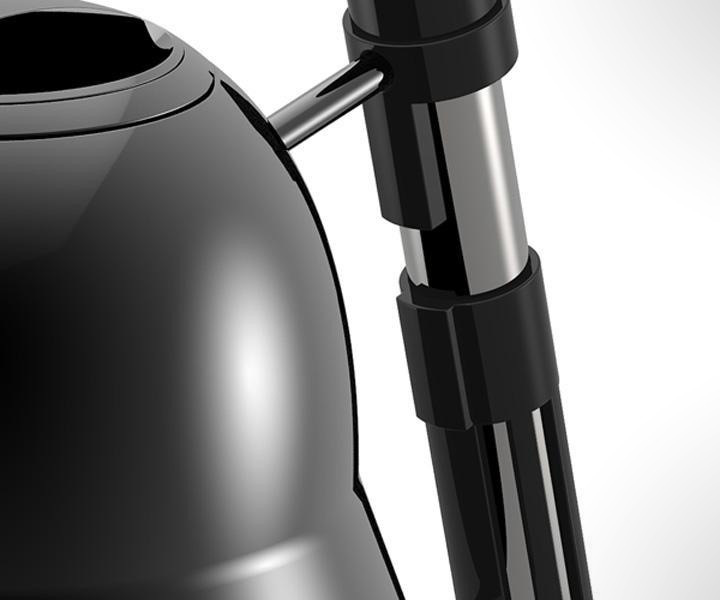 The Darth Vader kettle has a capacity of 1.7L. 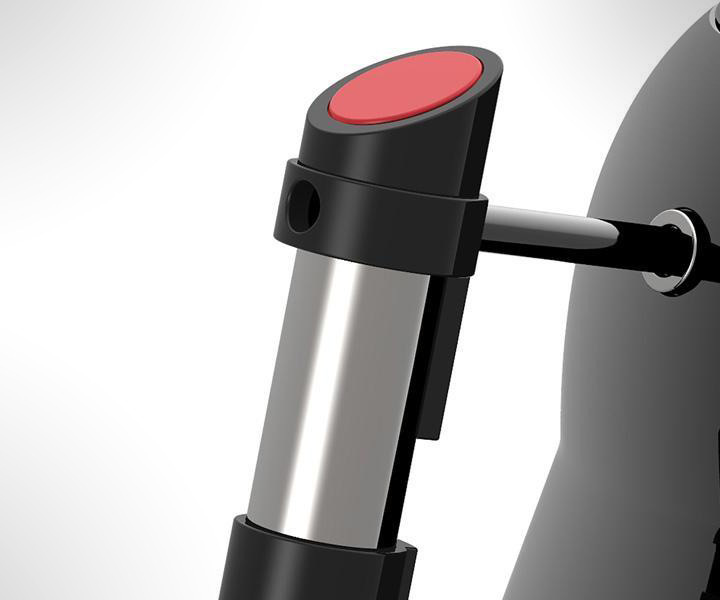 Available on pre-orders at a rate of £49.99.